Action-Packed! 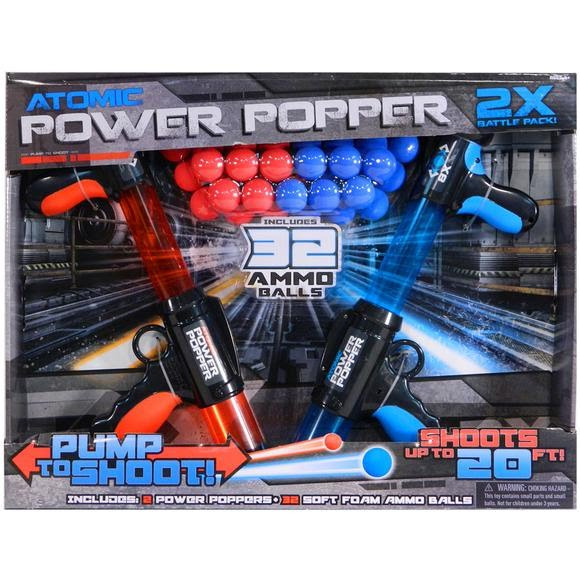 The Atomic Power Popper Battle Pack includes two Power Poppers and thirty-two soft foam ammo balls for hours and hours of fun! Pump to Shoot- the Faster you Pump, the Faster you Blast! Super fast shipping. Awesome product! I bought these to play capture the flag with my son and his friends. We had so much fun! The foam balls don't really hurt when being shot by them and they are easier to find after the war! Better and easier to use then nerf guns.